From $ 874AUD per night We have direct contracts with most villa owners. We don't add any booking fees. We are 100% transparent with no nasty surprises. 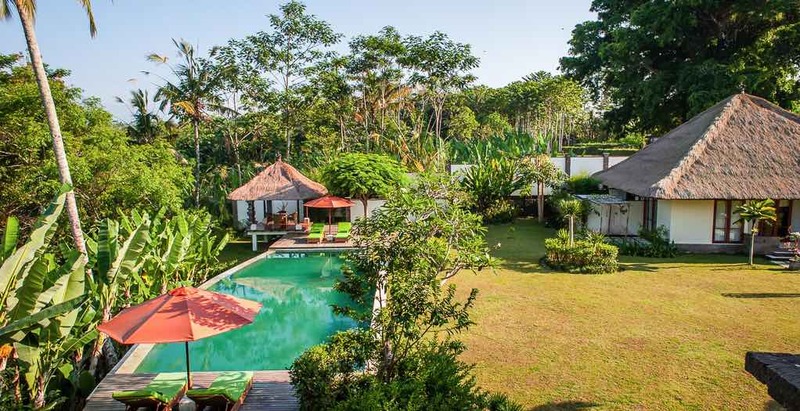 Villa Vastu is a beautiful holiday 4 bedroom Ubud holiday villa rental, set on the edges of the Ayung River gauge, in the mystical hills of Ubud. 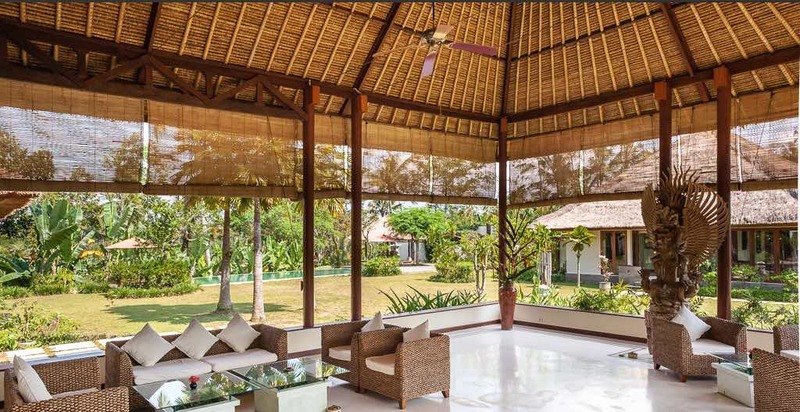 The perfect holiday villa for those seeking peace and relaxation. 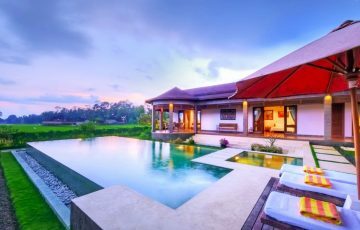 Villa Vastu features traditional Balinese design elements with a series of thatched roofed pavilions and an infinity pool that sits above the river gauge. 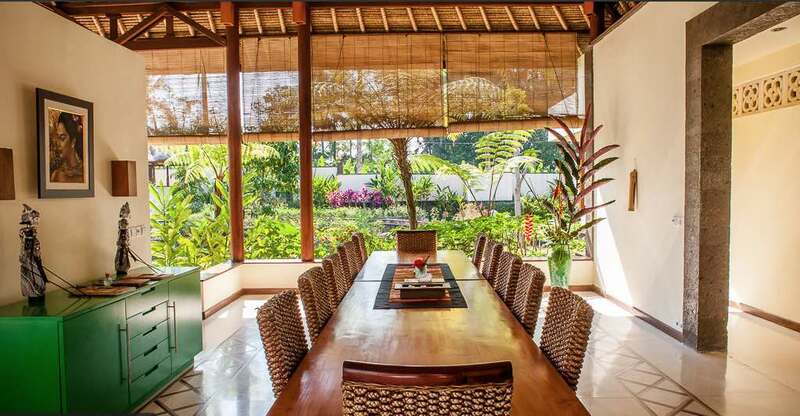 The villa accommodates up to 8 guests, perfect for families looking for a unique Bali holiday experience or groups of friends who are looking for that perfect yoga retreat and wanting to explore the wonders of Ubud. 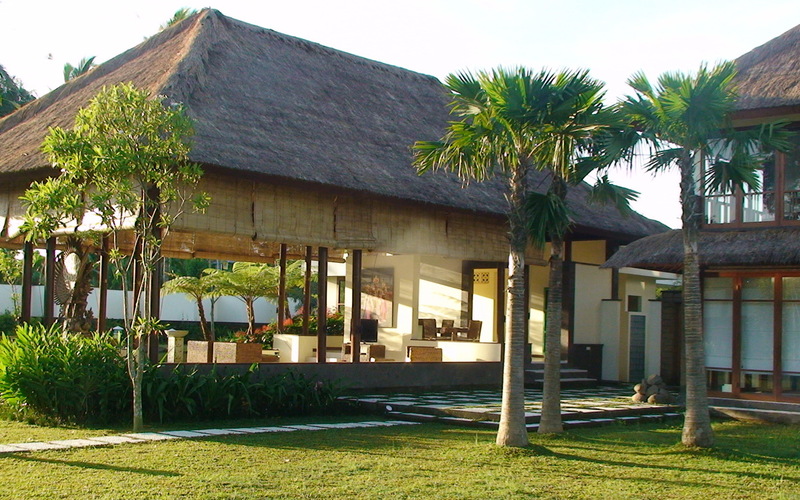 The sprawling grounds of Villa Vastu feature manicured lawns, an array of tropical palms and colorful foliage and towering coconut trees. 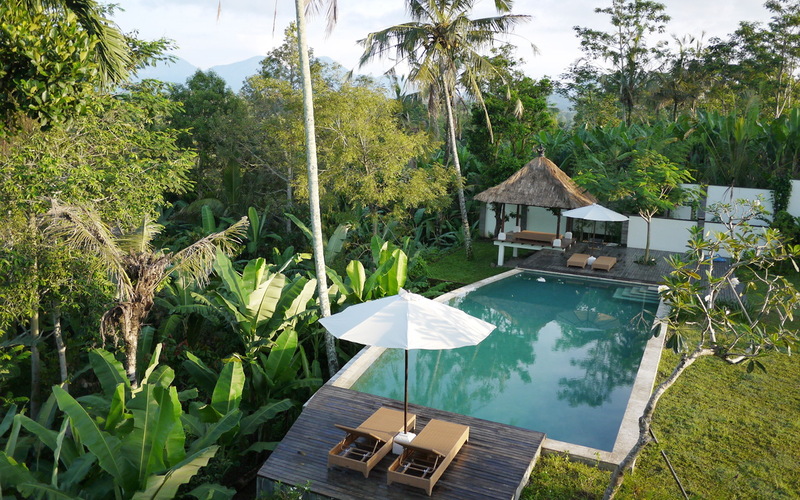 But it’s the beauty of the views over the Ayung River Valley that makes this outdoor setting really special. 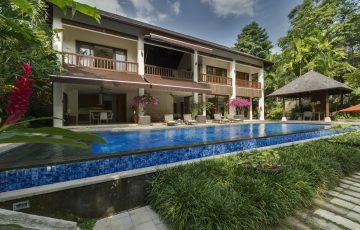 The infinity pool is perched on the edge of the gauge and timber decks at the ends of the pool provide a pleasant spot to read a book or just enjoy the tropical sun. 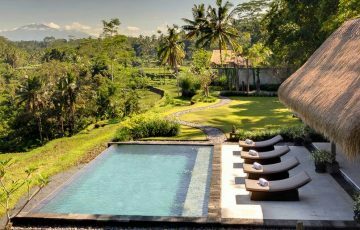 There’s also a bale at the end of the pool, perfect if you feel the need for a soothing traditional massage at any time. 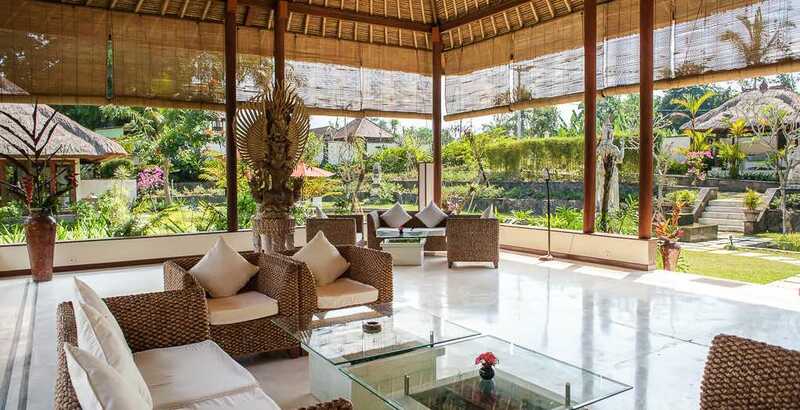 A large fish pond winds its way passed the main living pavilion with water features and an outdoor setting under the shade of a parasol is peaceful place for a morning coffee. 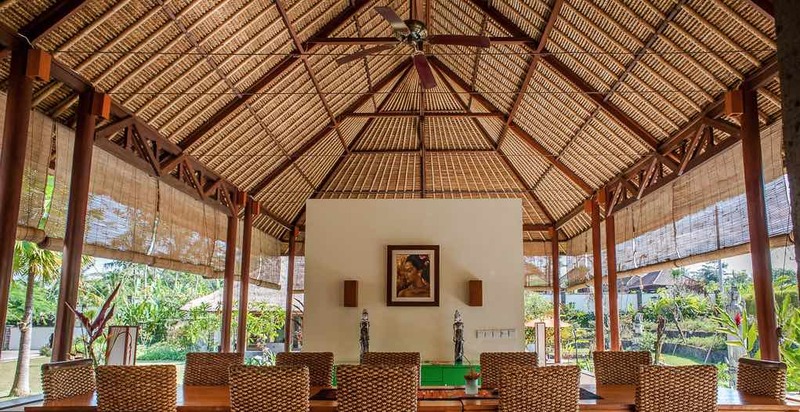 The living area is open plan, featuring a traditional alang-alang roof; soaring ceilings expose timber beams as fans circulate the fresh mountain air. 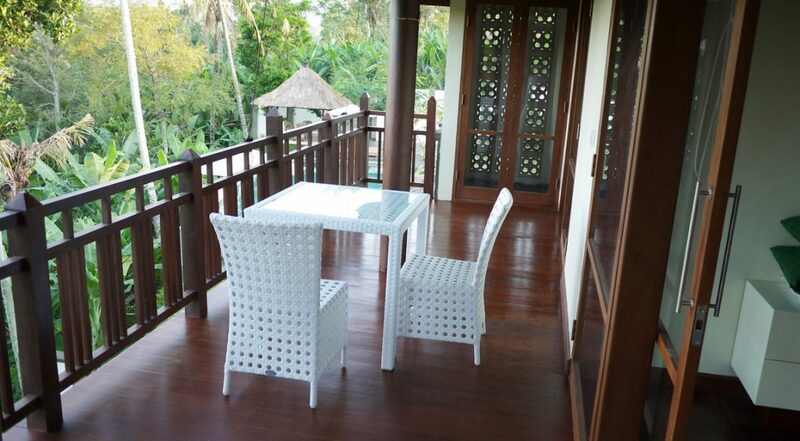 There are plenty of comfy rattan sofas here to relax and enjoy conversation with friends and family. A large flat-screen TV provides some light entertainment and a selection of local artifacts decorate the space and a well sized dining table seats up to 12. 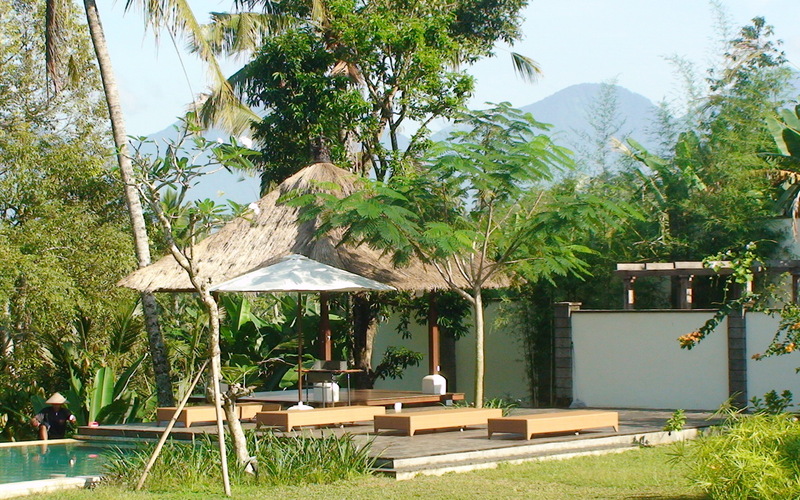 A second pavilion features a massage room, a small study and another media room. 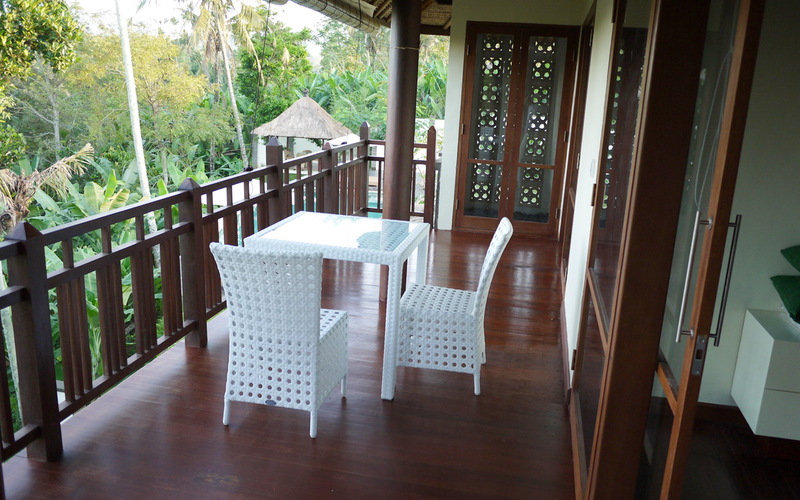 The master suite is located upstairs in the ‘orchid house pavilion’, with a wrap around balcony providing fantastic views of the Ayung River gauge below. 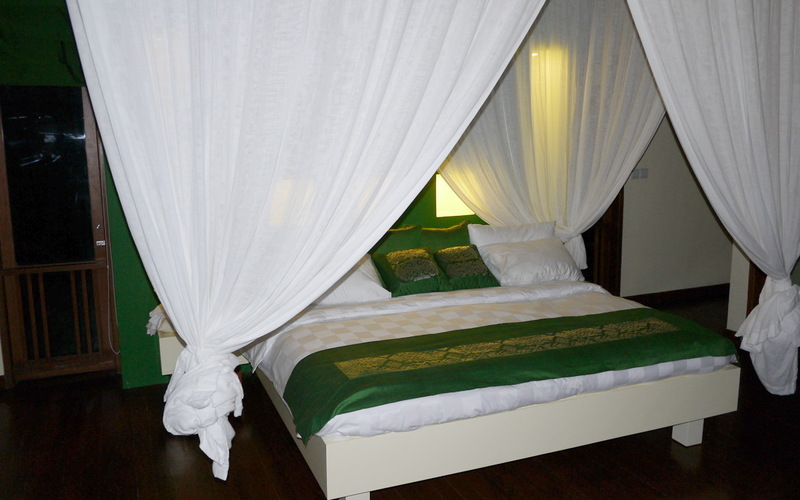 The room features a private sitting area, premium king sized bedding under sheer white netting for a peaceful night’s sleep. 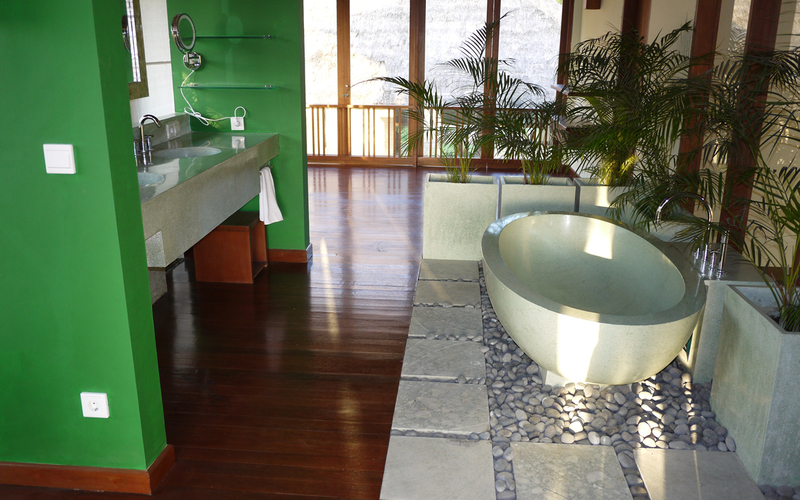 A terrazzo soaking tub, monsoon shower and twin vanities provide for a wonderful bathing experience. 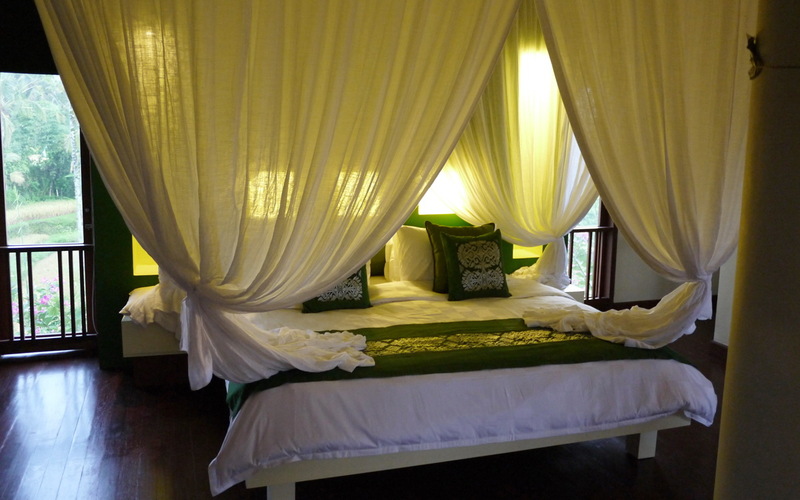 A second room in this pavilion offers twin size beds and en-suite bathroom on the ground floor. 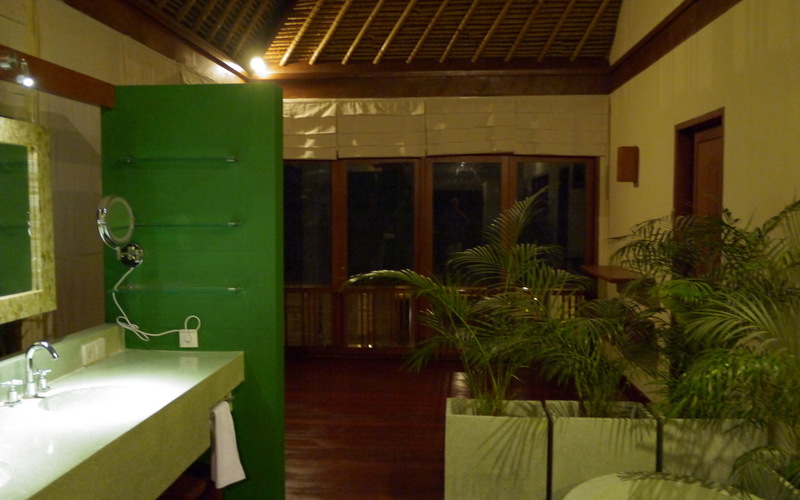 If you have children, the Lotus house pavilion features two bedrooms with an interconnecting door. 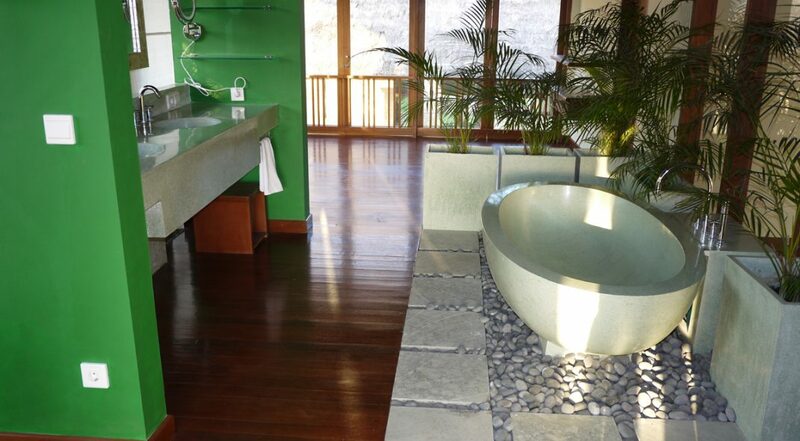 Both rooms feature queen size beds and en-suites with open-air design and generous soaking tubs. 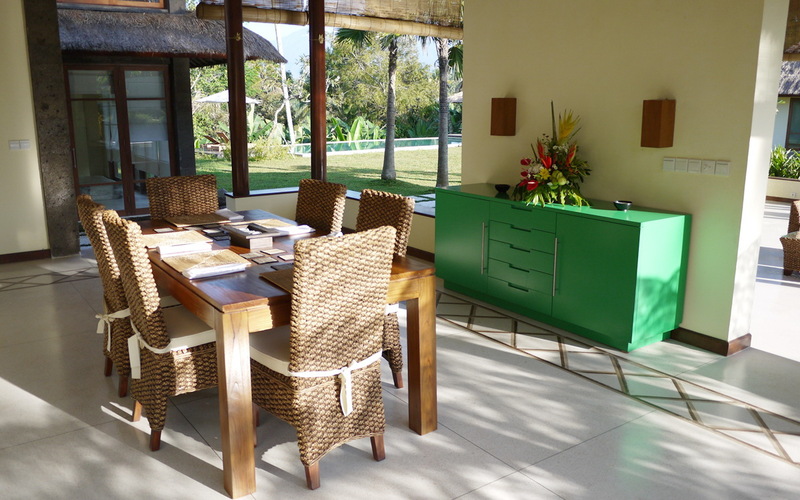 The villa manager and housekeeping staff will attend to your every need, ensuring the villa is clean and assists with any bookings for transport and the like. Enjoy free daily breakfasts and if you require catering for lunches and dinners that can be arranged. 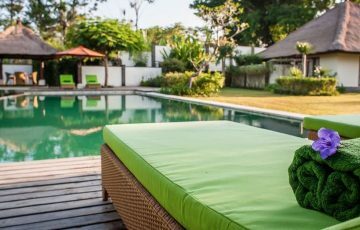 Other additional services at cost include babysitters, pool safety fence, scooter rentals and in-house massages. 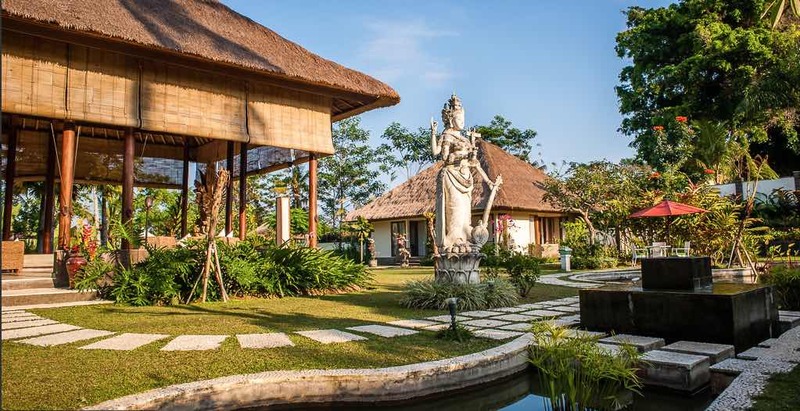 Exploring the local area on foot will be well worth while, take a relaxing stroll and experience Balinese life as the locals go about their daily routine. Some of the local tourist attractions include the Hanging Gardens, with its piano lounge bar or the river café. 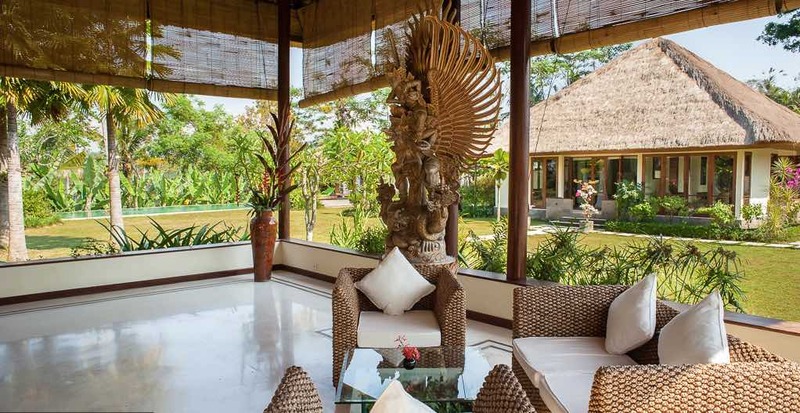 Ubud is a Mecca for art and culture, local and foreign, modern and traditional. 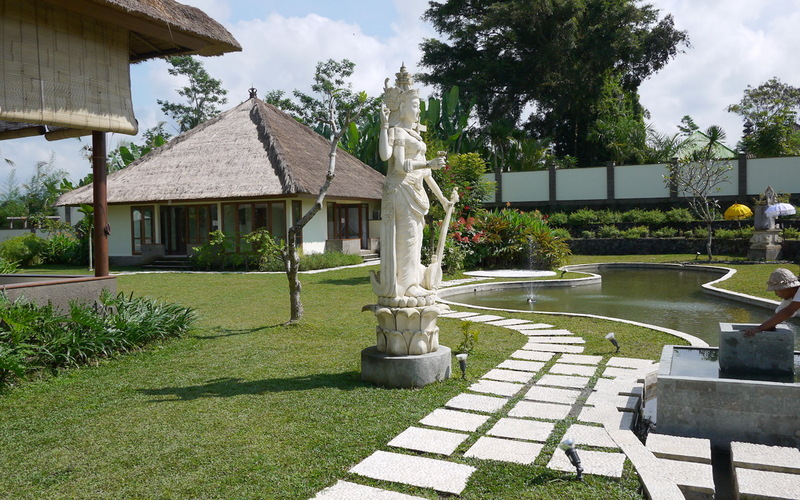 An abundance of cultural diversity is on display at the museums and art galleries spotted around the hills of Ubud. There are plenty of eating options to enjoy and the traditional markets are well worth a visit. If your travelling with kids take them to the Monkey Forest for a real treat which is close by. 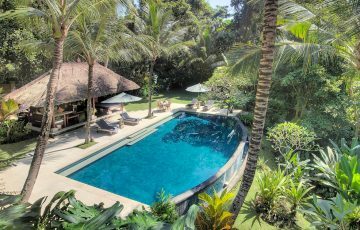 If you would like to see our full range of Ubud Villas or perhaps other Bali villas with a fabulous tropical ambiance please browse this website. If you prefer you can contact our reservation team. 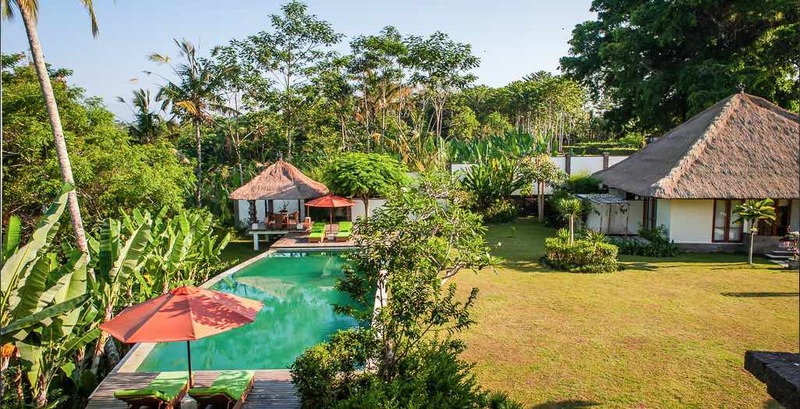 This is a popular Ubud villa so if your planning a trip to Bali, especially during the Australian school or public holidays please book Villa Vastu well in advance. 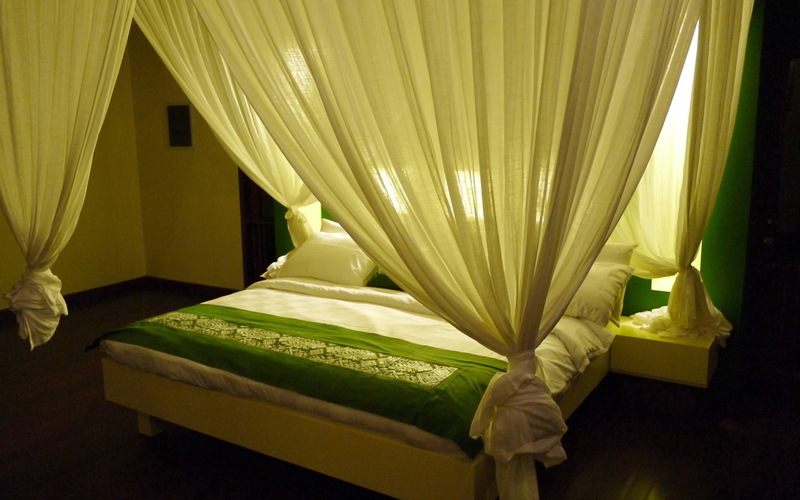 Rates is quoted 15% tax and service charges per night. 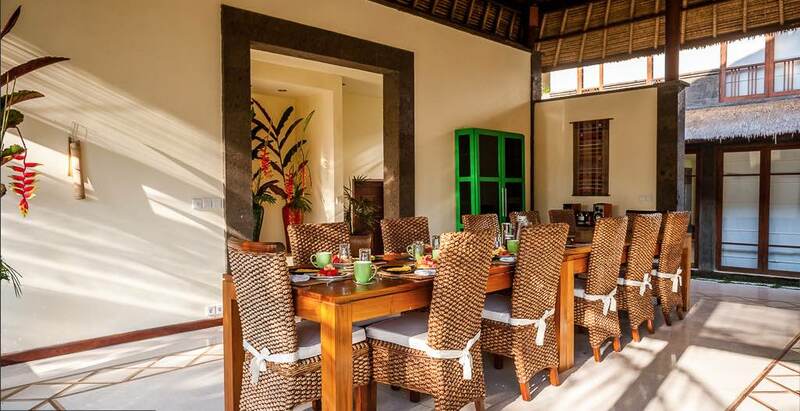 We came to Bali with our family of 6 and could not have ever imagined staying in such a wonderful villa. Everything was as we imagined, if not better. 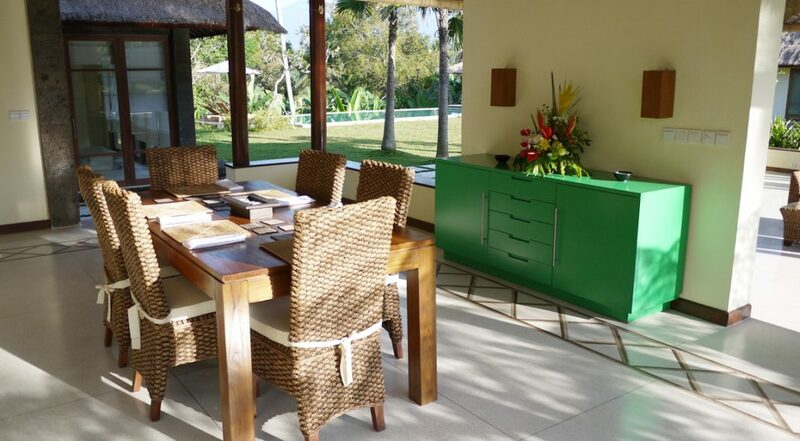 We absolutely loved the privacy and serenity of the place and knew that we had made the right decision from the moment we arrived and were greeted by the welcoming staff. We could feel the stress start to peel away as we listed to the sounds of the river below. 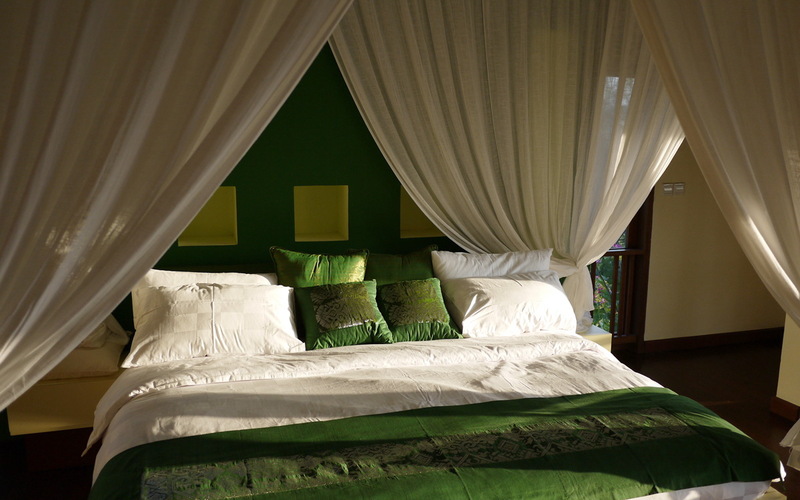 The villa itself was spacious and meticulously maintained and cleaned daily by the staff. 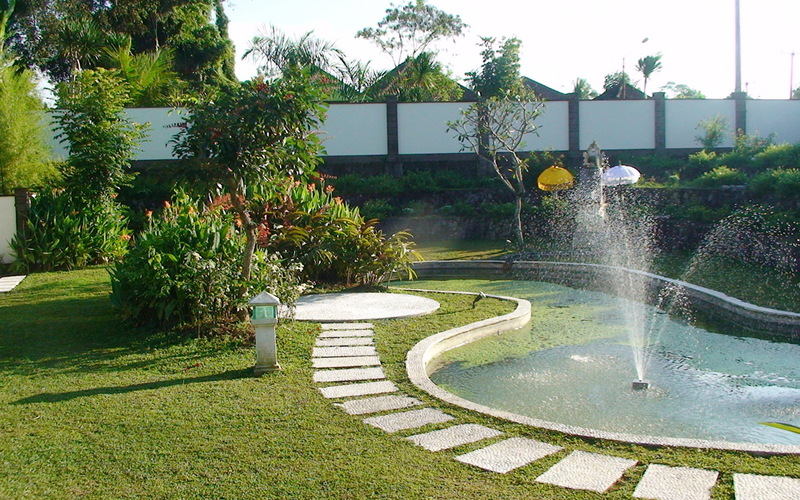 The kids could not have been happier with the gorgeous swimming pool and playing in the large garden area. For the adults it was simply a matter of setting in and enjoying a good book while soaking up the special ambiance. 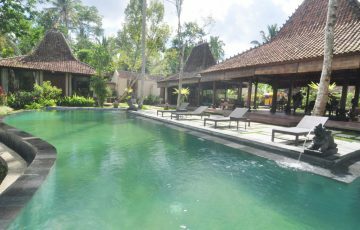 Everything we could have wanted was right there at the villa and it was difficult for us to leave our tranquil oasis, but we did make a few trips into Ubud to wonder around and explore the shops and restaurants which were all very easy to get to from the villa. 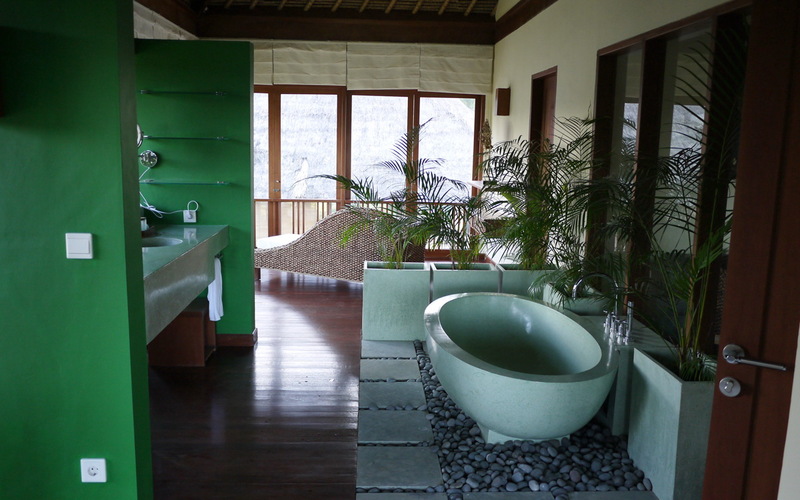 Overall a blissful experience further enhanced by the in house and warm staff. Easily a 10 out of 10! 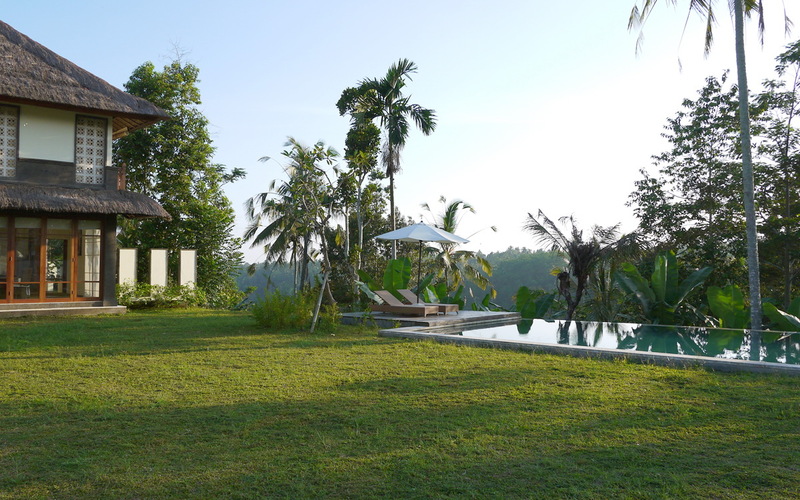 Just what we were wanting a very private villa, close to Ubud yet far enough away so we could really enjoy the peaceful surroundings - what a perfect holiday getaway and we cannot wait to do it all again with our group of friends next year. 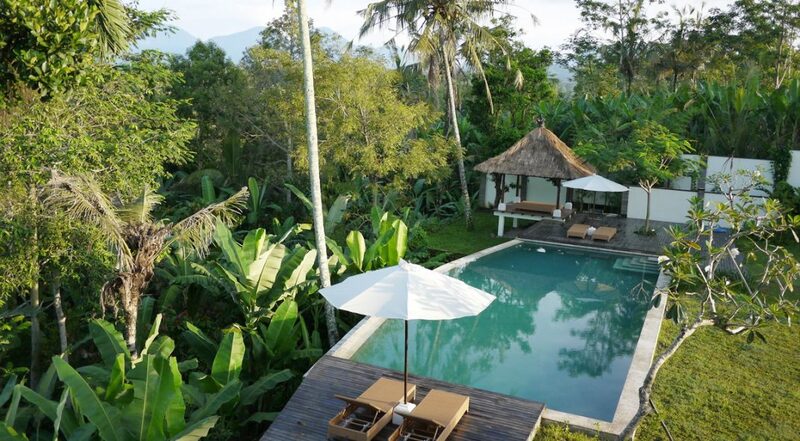 A huge thanks to Yayuk and Ina at Bali Villa Escapes for organising this at such short notice. 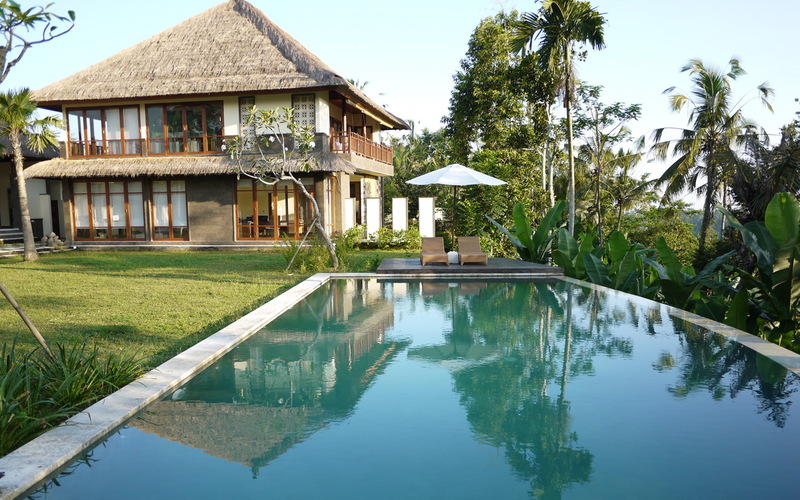 This Villa was so much better than we expected and is a lot better than the photos - it's really stunning! We loved the master bedrooms outlook over the gorgeous valley and found all the other rooms to be modern, spacious and very well equipped. 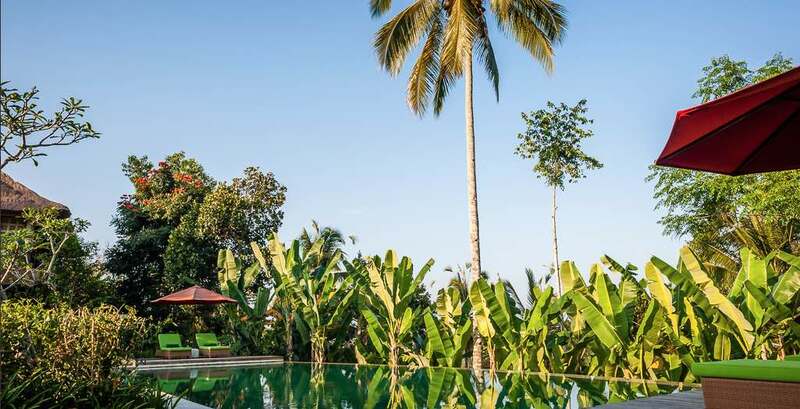 The villa staff were so professional and friendly especially Made the manage who was on hand the whole time to make us feel at home and help us organise tours, transport and diner reservations. He had the best attitude and was extremely helpful. A huge bonus was the meals prepared by the staff which was perfect. 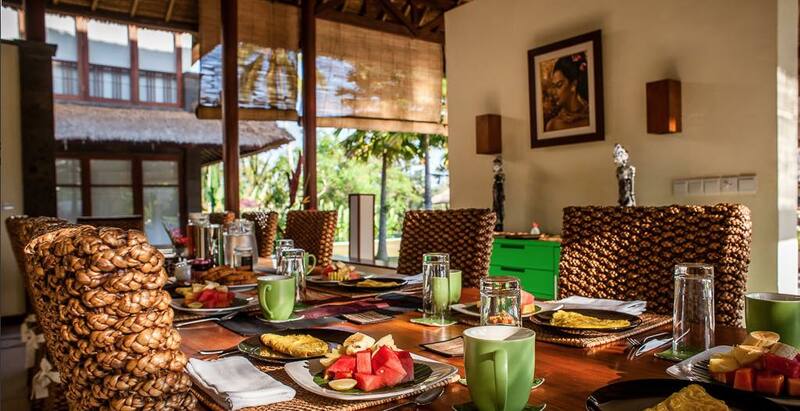 We will miss those morning breakfasts and snacks by the pool! 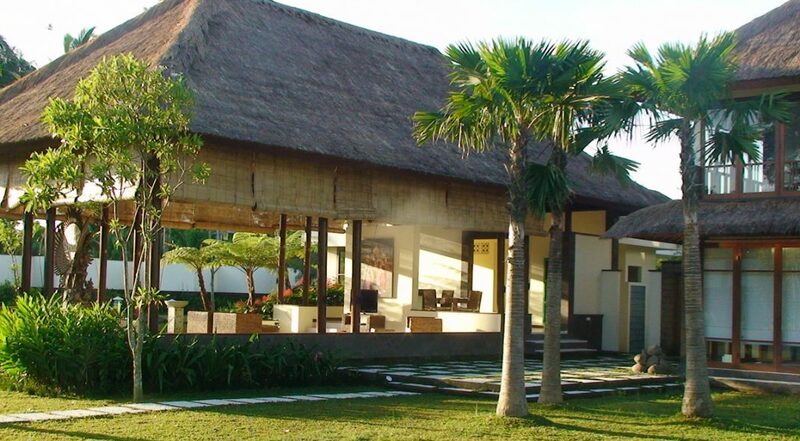 We will definitely be returning to Villa Vastu. Thank you for a fantastic and very memorable stay. 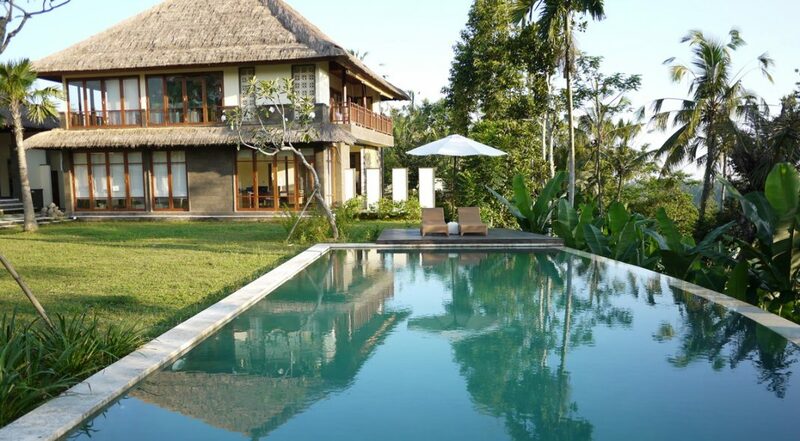 Classic Ubud villa. Absolute bliss in such a lovely area. 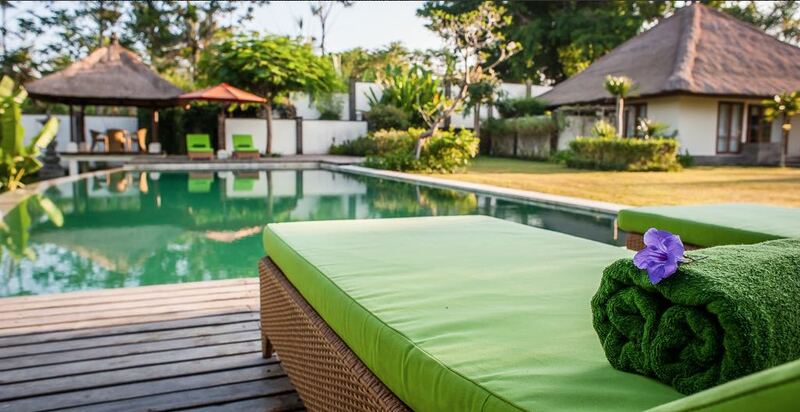 The whole villa package; staff, pool, location, rooms and facilities were outstanding. Thanks to everyone at Vastu who made us feel so welcome and relaxed.